Instagram was that bright shiny new toy 9 years ago. Something totally unique and different, something to steal thunder from Facebook. As Facebook continues to grow it will continue to gobble up the competition, because let’s face it… everything has a price tag. In 2012, Facebook paid an astounding $1 billion to acquire Instagram. Facebook seems to have a good grasp on formatting its platforms to appease its consumers. However, with all the good changes also come the bad changes. As we watched Facebook evolve, we saw how they changed their newsfeed algorithm to not show the most recent posts from your friends, like pages, etc. This change was one of the most aggravating one for users. So, of course Facebook eventually implemented this change within their newly acquired app, Instagram. Even if you don’t have a ton of followers you’ve probably noticed how hard it is to even go up in followers nowadays. 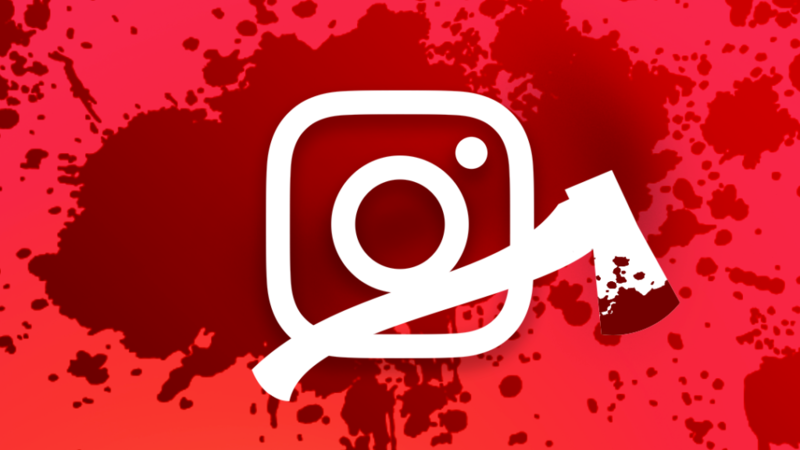 Users took to the internet and posted all about Instagram’s algorithm updates. For example, this Reddit user here posted a thread about how he had a goal to reach, but he finds he loses followers more often than gains. Engagement has also decreased a great deal for users. It seems that accounts are lost and hidden in a shadow of what Instagram says is relevant to users based off their unfortunate algorithm. What was the work around for this update? Be more engaging. Be sure to like, comment and follow other accounts regularly, but who has the time to do that on a constant basis? Well, that is where bots came into play. At first, Instagram was plagued by them, which they have since seemed to clean up the bot activity a bit, but haven’t stopped it entirely. There are plenty of accounts that are not run by humans and are on auto activity. Now, fast forward to 2019. Blogger The Lovely Escapist shared a great article with users about how Instagram’s newest algorithm update only allows 10% of your followers to see your posts. If it wasn’t bad before, now it’s worse. Celebrities or users with already large followings are the only ones that aren’t getting hammered by these changes. They most certainly are effected, but not in a large enough scale like users with under 50,000 followers or so. Read the blog referenced above here for some great tips and tricks to try and stay on top of monetizing Instagram. Although, the blog above is positive, let’s share what we see. Typically, users with great content and with low follower counts that have increased despite of the algorithm change still are affected. How? Well, watching several accounts closely that finally hit their 10,000 follower mark have had a very hard time staying above that mark. Once users finally hit 10,000 we watch the algorithm come into play even harder. They dip back down under their goal or go at a snail’s pace to continue to grow vs. their growth rate that got them to 10,000. So, what does this all mean for veteran accounts? Well, it means that unless you’re extremely active and engaging your users, or even utilizing bots for your account(s), (which can even limit your account further thanks to Instagram’s way of disabling users to find a workaround to their algorithms), your follower count may dwindle. Unless you’re famous or constantly being shared across Instagram accounts your growth is severely limited. You will have to work much harder to continue to grow vs. when Instagram first came out on the market. We can only hope that a new platform will emerge and put some pressure on Facebook’s limitations for users.